The day celebrates is equality in marriage, the day when a man and woman come together to fight a battle and win a war. Five days of Diwali and each has a different story behind it. 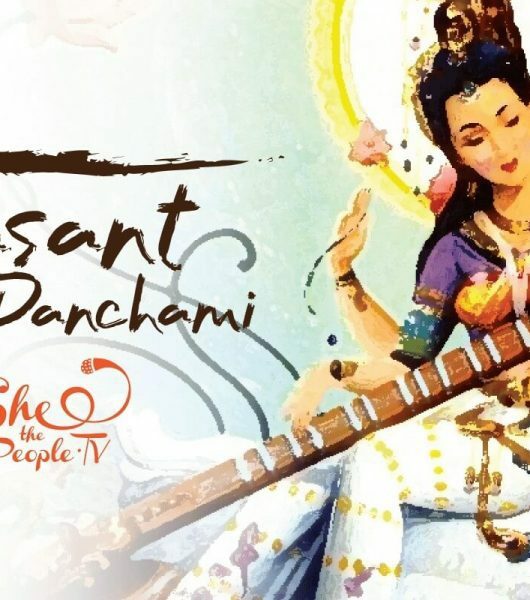 One Diwali story of this particular day – Narakchaturdashi is interesting essentially because it celebrates an unusual aspect in love and relationship: that of gender equality in marriage. Though Narakchaturdashi, which falls on the second day, is often observed as the commemoration of the death and destruction of the tyrant Narkasura, what most often do not know is that it was a woman who killed him: Satyabhama, the fiery wife of Krishna, her partner in peril who helped her case and cause. What lies behind this simple story of victory of good over evil is the subtle subtext: illuminating the importance of cooperation and collaboration for perfect partnership in a relationship. The story goes that it was Satyabhama who with her husband, Krishna, killed the demon king Narkasura with whom this day is associated with. He was the demon son of Vishnu’s boar avatar Varaha and the earth-goddess Bhudevi. As the unrivalled emperor of Pragjyotishpur, Narakrasura brought all the kingdoms on earth under his sway, capturing 16,000 princesses of defeated kingdoms, and imprisoning them at Audaka atop the mountain Maniparvata, guarded by Mura, the five-headed demon and his ten sons. What lies behind this simple story of victory of good over evil is the subtle subtext: illuminating the importance of cooperation and collaboration for perfect partnership in a relationship. Spurred by his success and ambition, he turned towards Amravati and Swargalok and defeated the mighty Indra, forcing him to flee the heavens. To add insult to injury, Narakasura stole the precious earrings of the heavenly Aditi, mother of Indra and the devas. 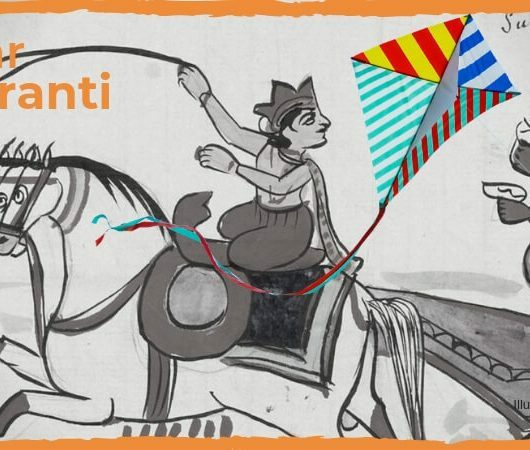 An enraged Aditi, who was a relative of Satyabhama, approached Krishna’s wife for help. An indignant Satyabhama readily agreed and sought her husband as an ally. Krishna who was aware that Narakasura as per the boon by Brahma, could only be killed by his ‘mother’ Bhumidevi, and that his wife was an avatar of Bhudevi, decides to help Satyabhama as her charioteer in her battle against Narakasura. As promised to the Devas and Aditi, Krishna attacked the impregnable fortress at Pragjyotisha, riding his mount Garuda with wife Satyabhama. Krishna who was aware that Narakasura as per the boon by Brahma, could only be killed by his ‘mother’ Bhumidevi, and that his wife was an avatar of Bhudevi, decides to help Satyabhama as her charioteer in her battle against Narakasura. A great war was fought where Narakasura attacked Krishna and rendered him unconscious. A livid Satyabhama retaliates and with all her fury, attacks and kills Narakasura. As an incarnation of Bhudevi and thus, Narakasura’s mother, she was able to rid the earth of his terrors, while honouring Brahma’s boon. As he lay dying, Narakasura begged his mother for a blessing: that the world remember him with joy, not hate. His mother, Bhudevi as Satyabhama agrees and announces that this day of his death be celebrated, never mourned, as a day of joy and celebration: Satyabhama not just wins the war, but kills Narakasura, but not before recovering the precious earrings and freeing the 16,000 girls who later married Krishna in a gesture of retrieving lost honour and conquered territories. 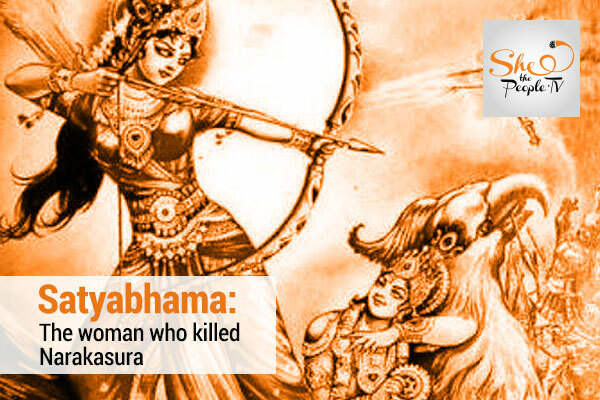 Satyabhama not just wins the war, but kills Narakasura, but not before recovering the precious earrings and freeing the 16,000 girls who later married Krishna in a gesture of retrieving lost honour and conquered territories. As a mark of victory, Krishna is said to have streaked his forehead with Narkasura’s blood and when he returned home, his wives washed the blood off him, and anointed him with perfumed oils and an elaborate bath: an early morning ritual still followed by many to wake up at dawn on Narak Chaturdashi and have an uttan perfumed oil-bath before sunrise. Some apply kumkum on their foreheads before the bath, akin to the smearing of the blood of Narakasur by Lord Krishna. What this day celebrates is equality in marriage, the day when a man and woman come together to fight a battle and win a war. But what this day celebrates is equality in marriage, the day when a man and woman come together to fight a battle and win a war. It is support which is celebrated, not subservience, the day commemorating love and trust in each other with the promise to assist one another. 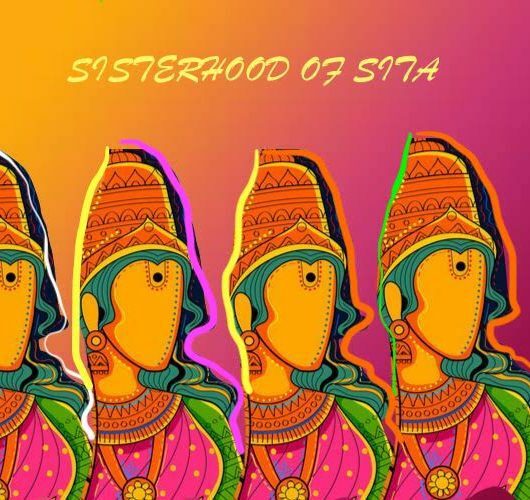 What is significant here is the acknowledgement of our partners as equals, not subordinates and the story is told through the rightful character of the vivid Satyabhama. 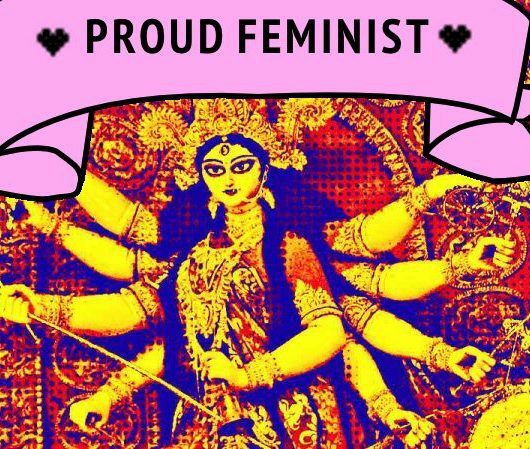 She, as an incarnation of the earth goddess, like Bhudevi is naturally earthy, of the primeval, fierce woman archetype, who never submits to authority. As his wife, Satyabahama demands to be an equal, accompanying Krishna even on the battlefield. Krishna respects her demands as a wife and as a trained, capable warrior who is to play a part in the drama of destiny to unfold. 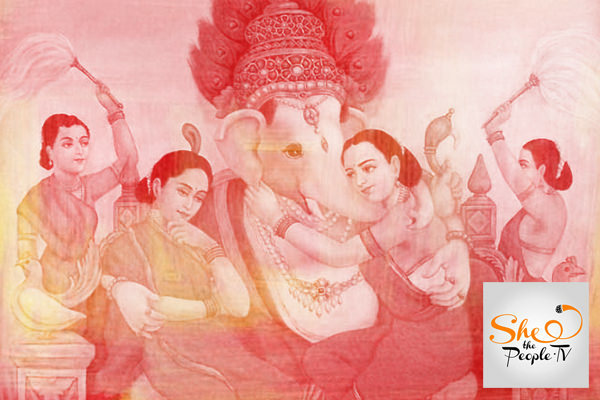 This story of Satyabhama also leads to the story of Vishnu having two wives – Sridevi (Lakshmi) and Bhudevi which stems from the legend of the Varaha avatar of Vishnu who in the form of a boar rescued Bhudevi, the earth goddess from under the primordial seas, where the demon, Hiranyaksha had captured her. As Bhudevi takes her rescuer, Vishnu as her husband, she has a chance to return the favour in her avatar as Satyabhama, Krishna’s co-wife and co-warrior. Love also means fighting battles and winning wars – together. Kavita Kane writes a monthly column named Goddess of All Things for SheThePeople. Views expressed are the author’s own.